I’m in love with Connor… so why do I feel an inexplicable pull to his best friend, Weston? Grouchy, sullen, brooding Weston Turner, who could cut you down with a look. Fiercely intelligent with a razor sharp wit and acid tongue, he’s the exact opposite of Connor in every way, and yet there’s electricity in the air between us. The thorny barbs Weston wraps around himself can’t keep me away. But the more time I spend with these men, the more tangled and confused my emotions become. When they both sign up for the Army Reserves during a time of increasing strife in the Middle East, I fear I’ll never unravel my own heart that sometimes feels as if it will tear straight down the middle… for both of them. Bring Down the Stars is an emotional, angst-filled novel of unrequited love by bestselling author, Emma Scott, and is inspired by the classic tale, Cyrano de Bergerac. While Autumn is focusing on school, she is not ready for a relationship because she is not fully over the hurt of the last relationship she was in. When she sees Connor across campus, she is intrigued. And then she meets Weston in the library. Weston and Connor are the best of friends and have been since they were in grade school. Always there for each other. Autumn finds herself drawn to both men but for different reasons; while Connor always has a smile and wants to make everyone around him laugh, Wes is dark, brooding, and hides behind walls. As Autumn and Connor begin to date and the sparks aren't there, there is a sizzle once in a while. But when the date is over, the text messaging between Autumn and Connor has her loving his words. Why can't he talk to her that way in person? Weston has to back away because he is falling for Autumn and that will not work. She belongs to his best friend. Although he is helping Connor "talk" to Autumn when they are not together, he feels that they both are doing her wrong. He wants to stop but Connor wants to continue until he can find the words himself. And both signing up for the Army Reserves is going to kill Autumn because she knows something is going to happen. She just wants both men she loves in different ways, to come home. What happens when Autumn finds out the truth? Will she forgive them both or will she lose them forever? And what happens if one or both get hurt or worse in the Middle East? Will the three survive? Will I survive the next book? This book is an emotional rollercoaster ride that is worth the time it takes to read it. And it is worth every laugh, gasp, and tear you shed. This is a first for me from Emma Scott and it will not be the last. I am about to start book two, I have to know what happens to Wes, Autumn, and Connor. Please read this one, you will not be disappointed. Emma Scott is a bestselling author of emotional, character-driven romances in which art and love intertwine to heal, and in which love always wins. 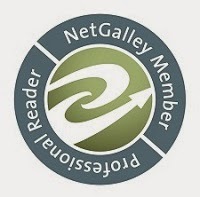 If you enjoy thoughtful, realistic stories with diverse characters and kind-hearted heroes, you will enjoy her novels. 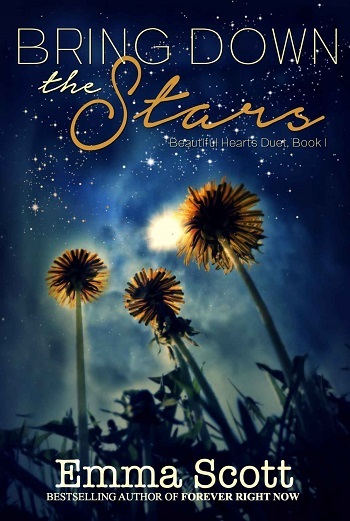 Reviewers on the Wicked Reads Review Team were provided a free copy of Bring Down the Stars (Beautiful Hearts #1) by Emma Scott to read and review.